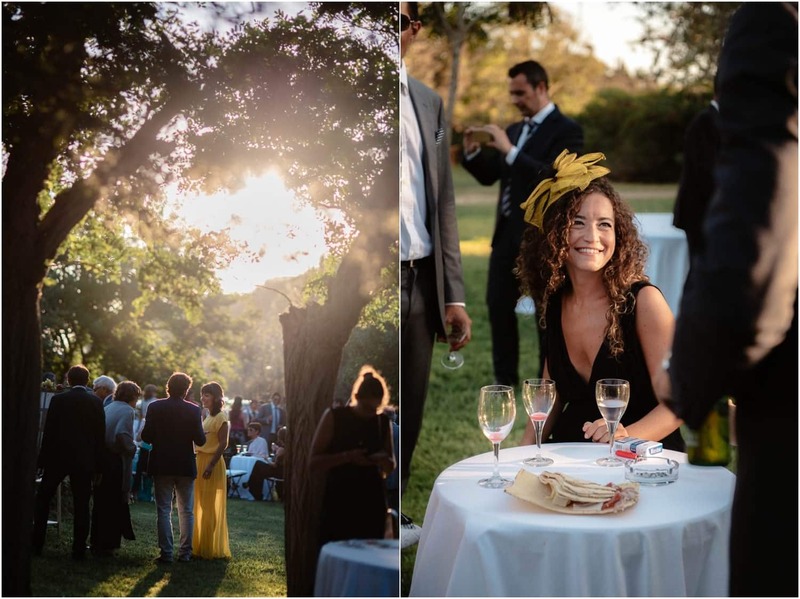  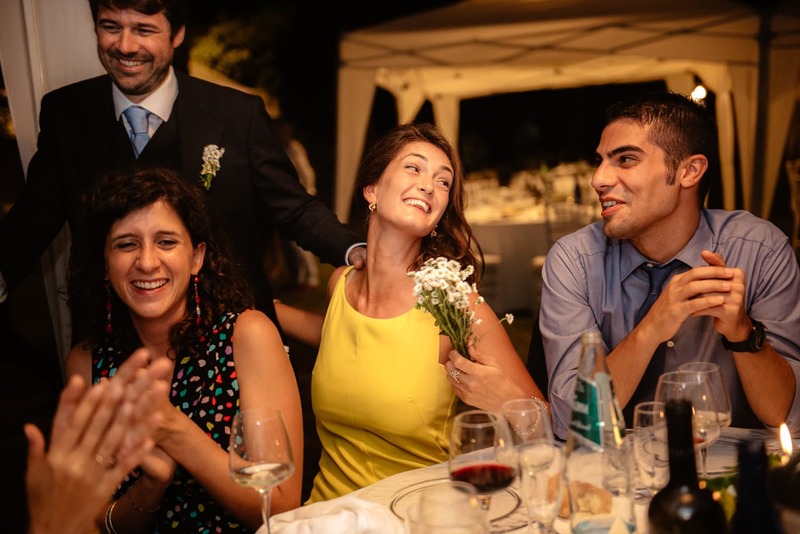 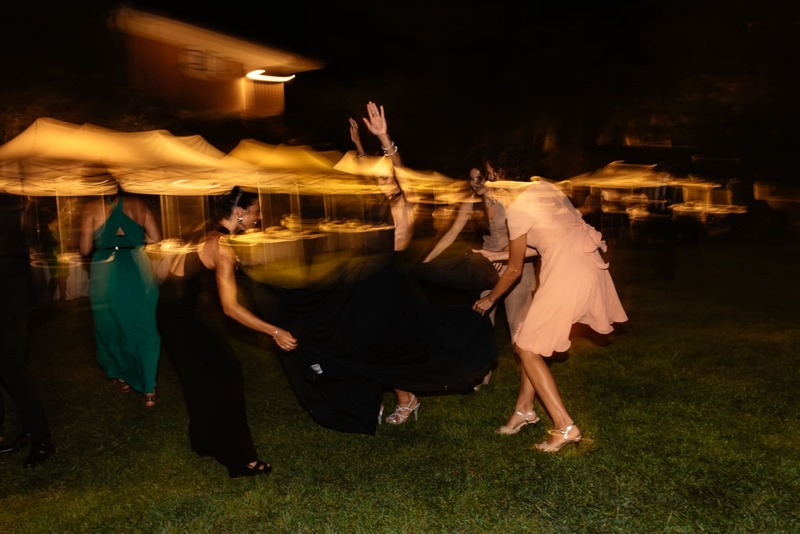 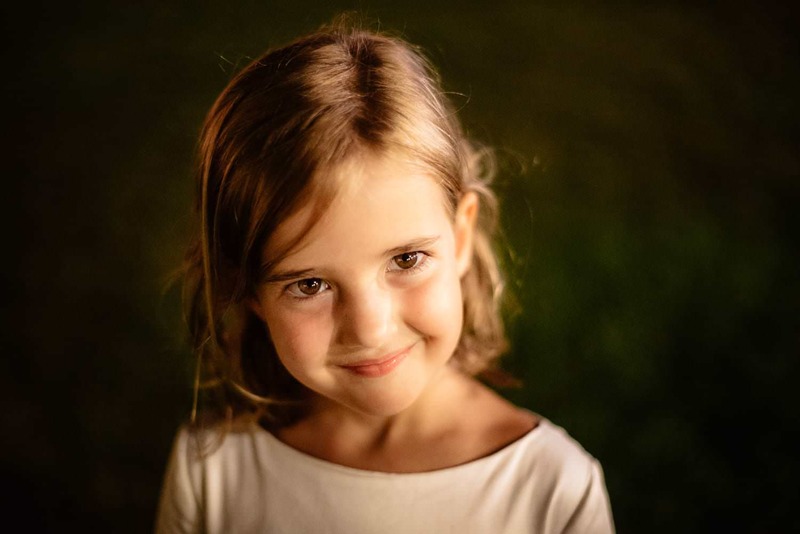 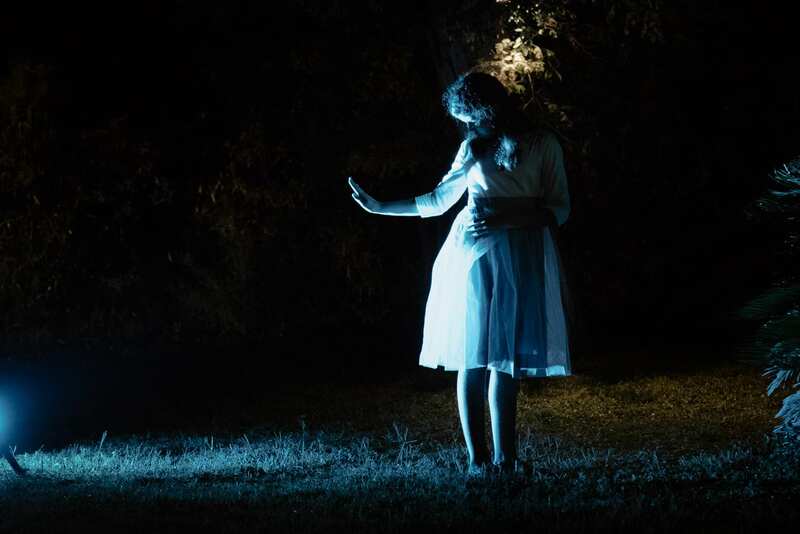 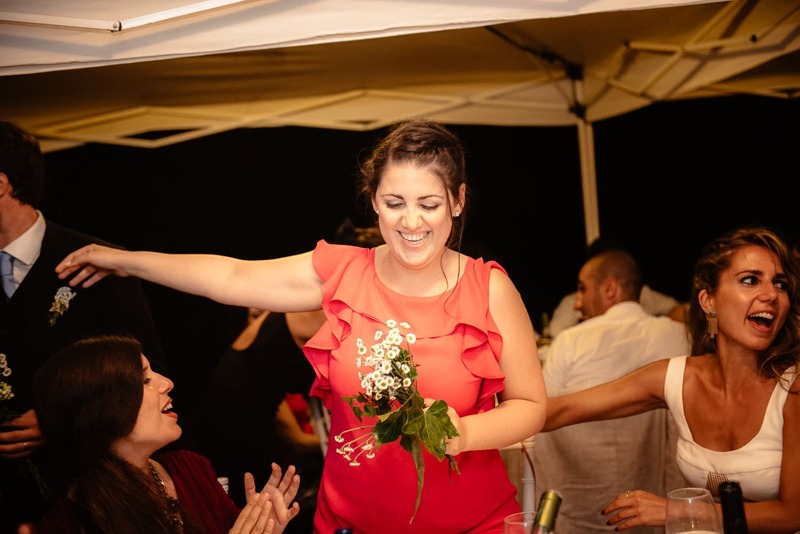 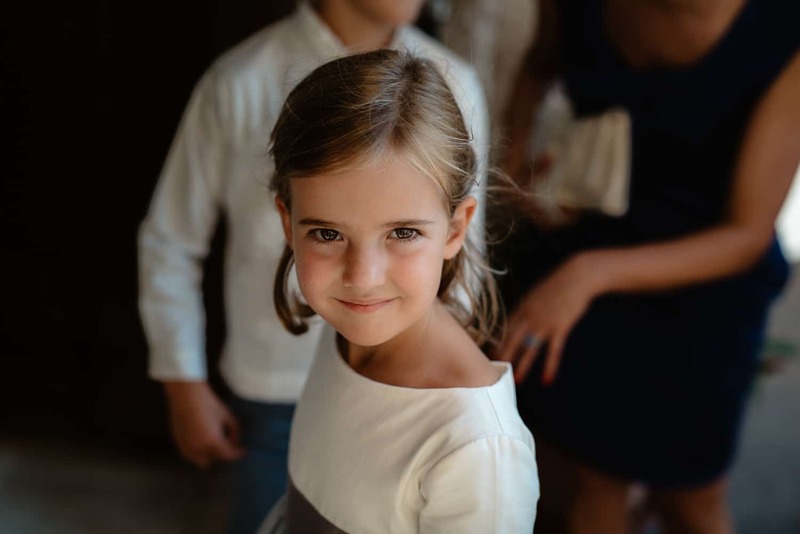 – Rural wedding Sassari, Sardinia, bucolic style. 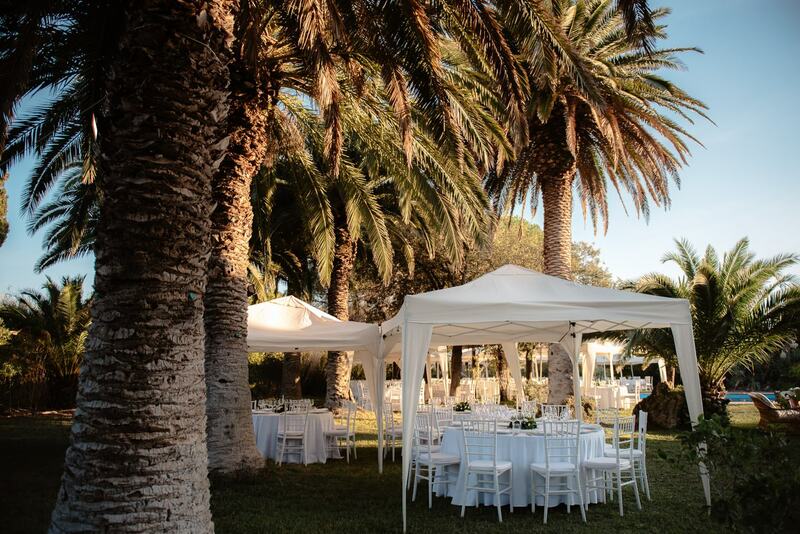 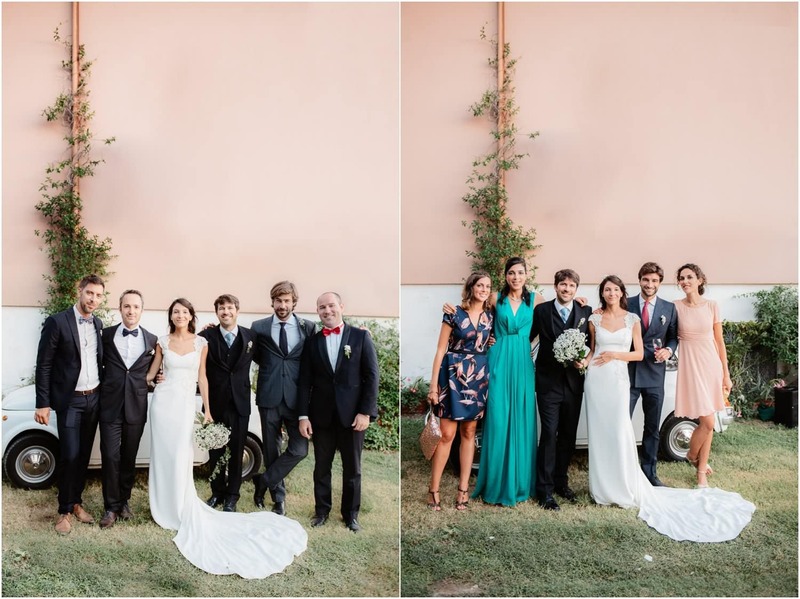 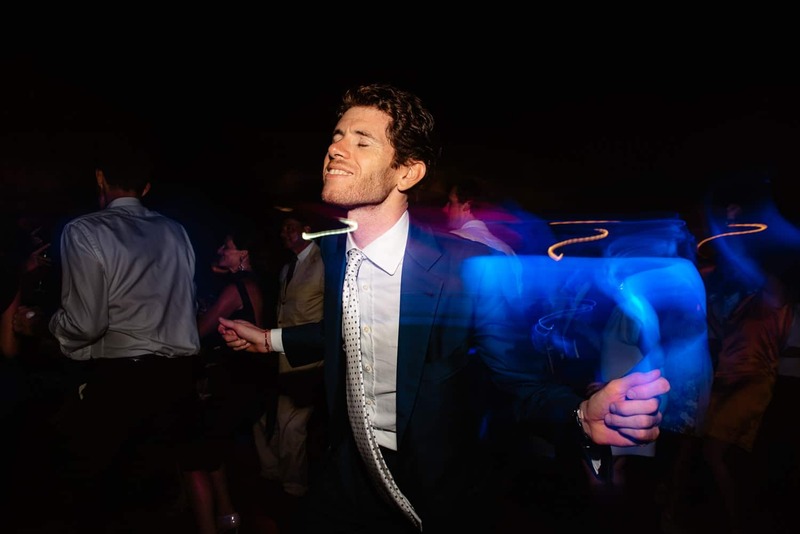 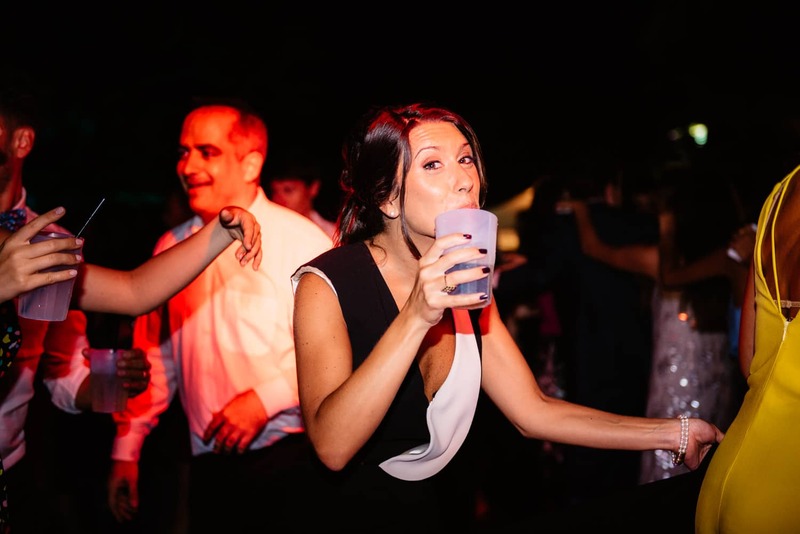 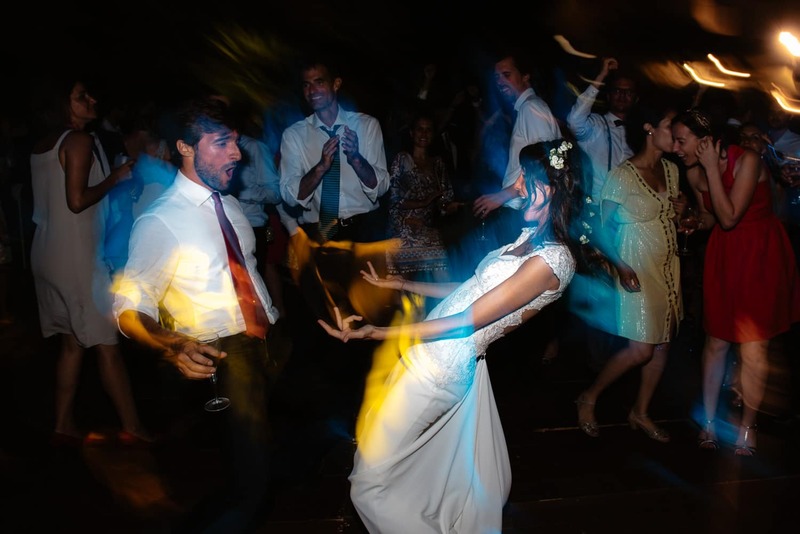 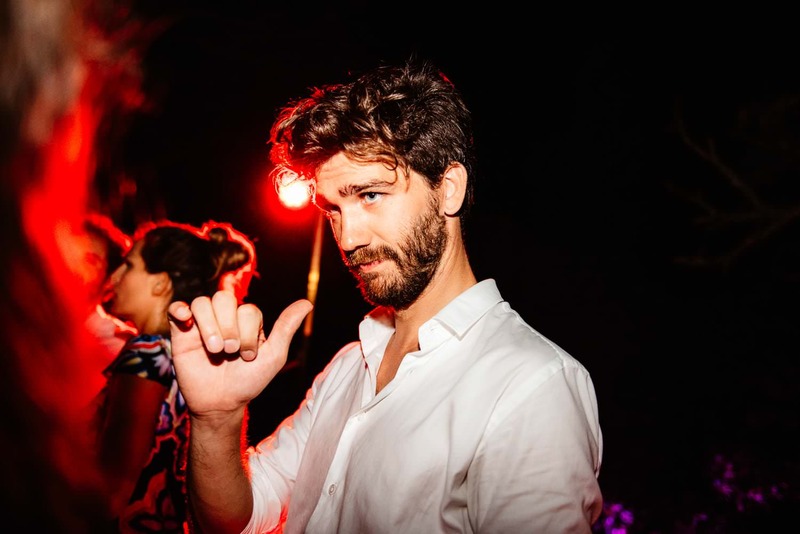 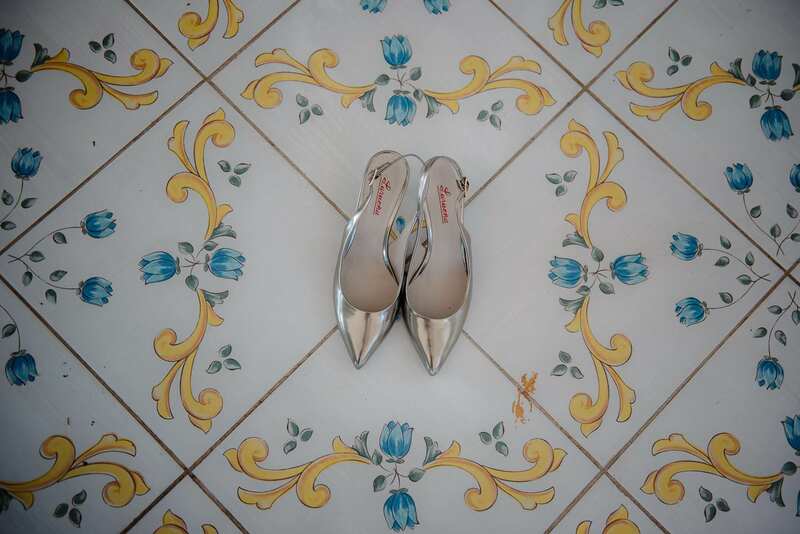 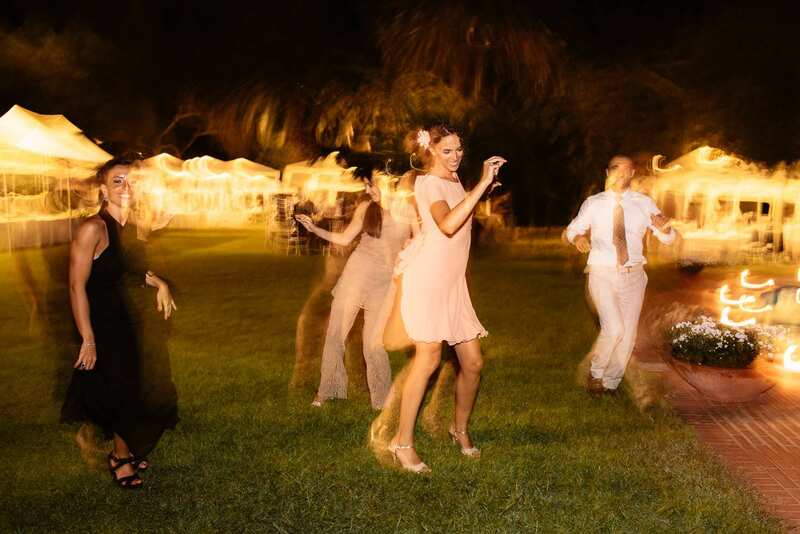 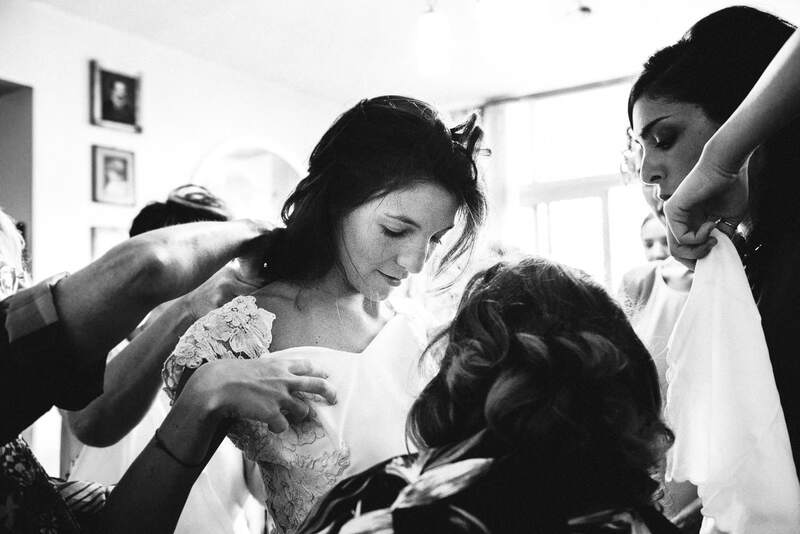 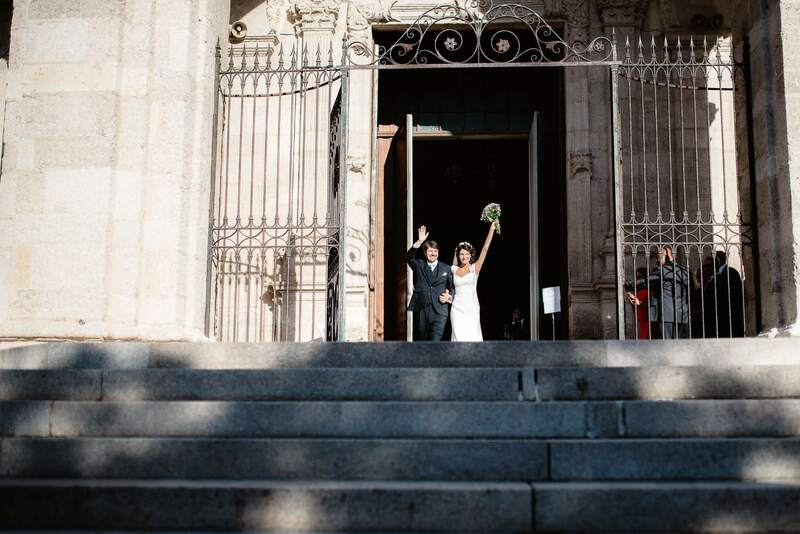 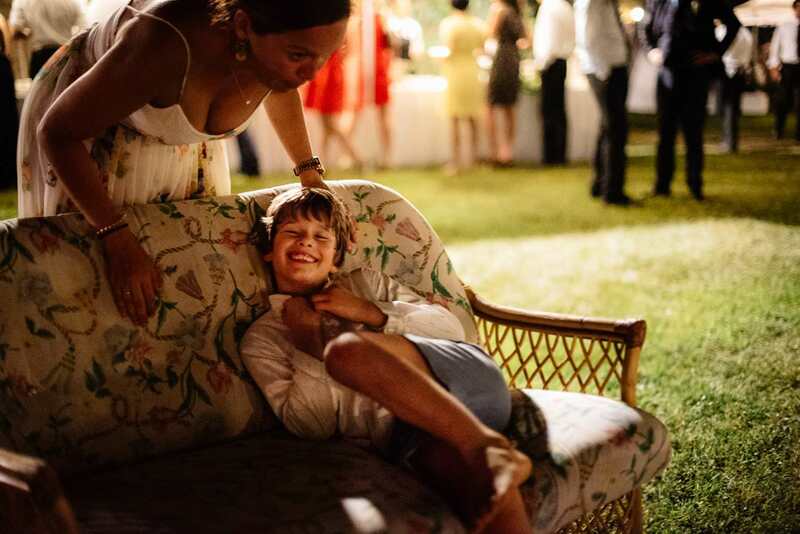 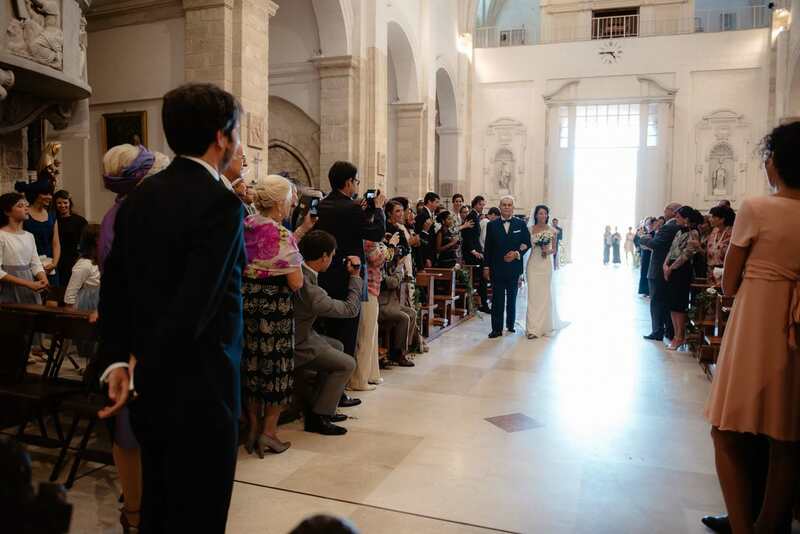 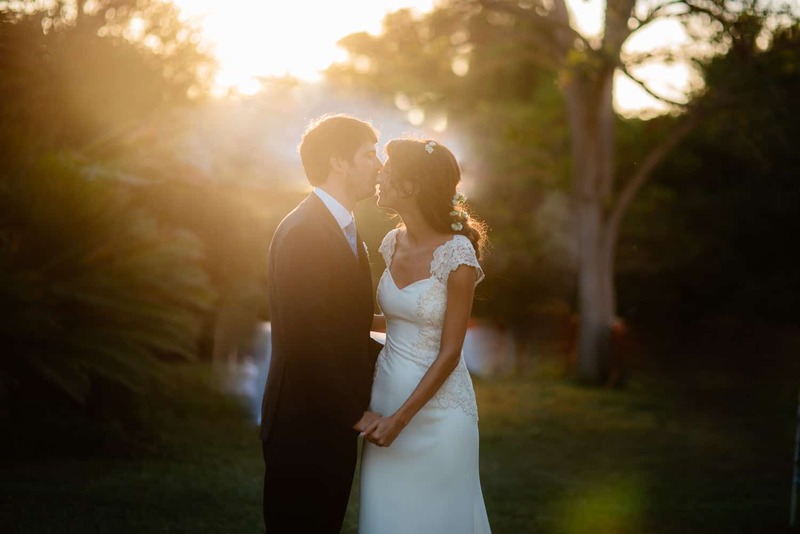 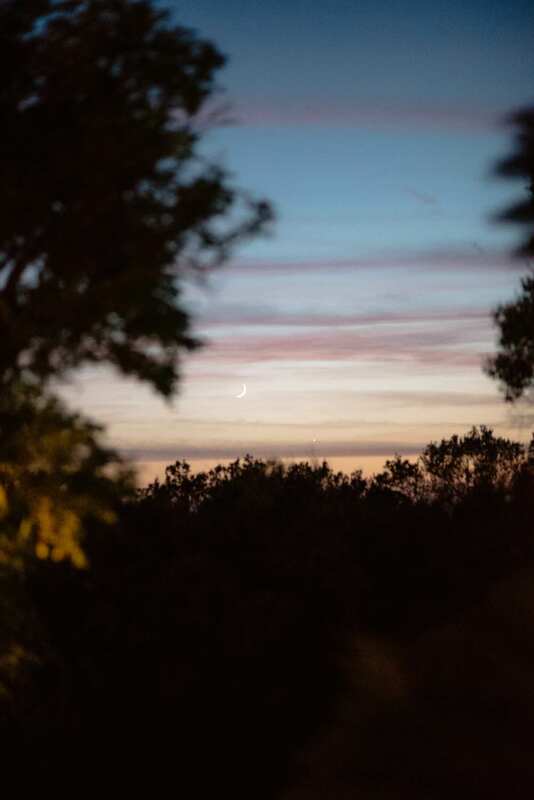 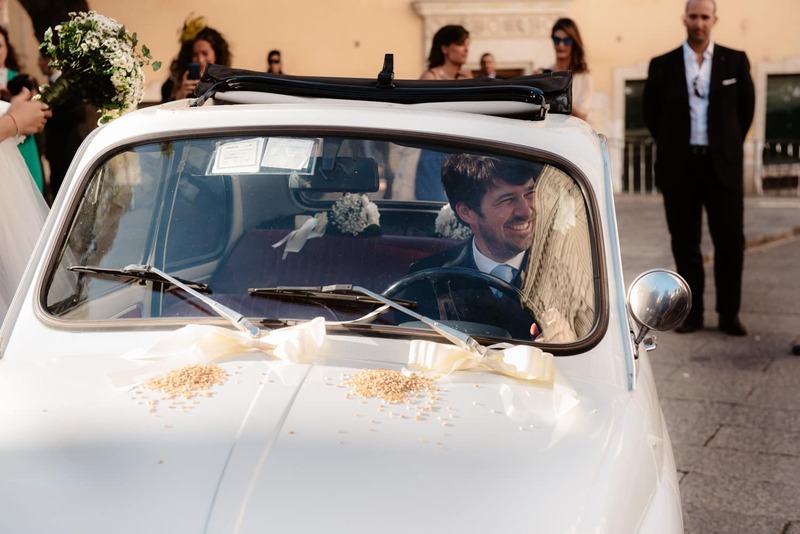 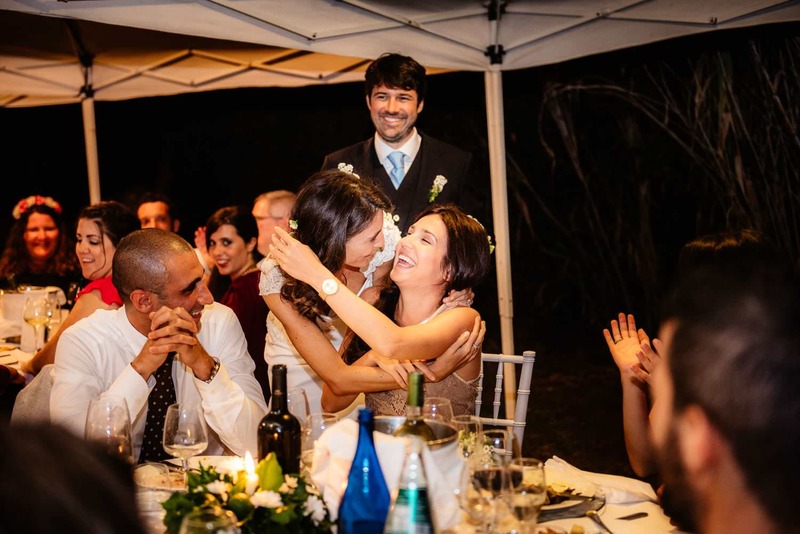 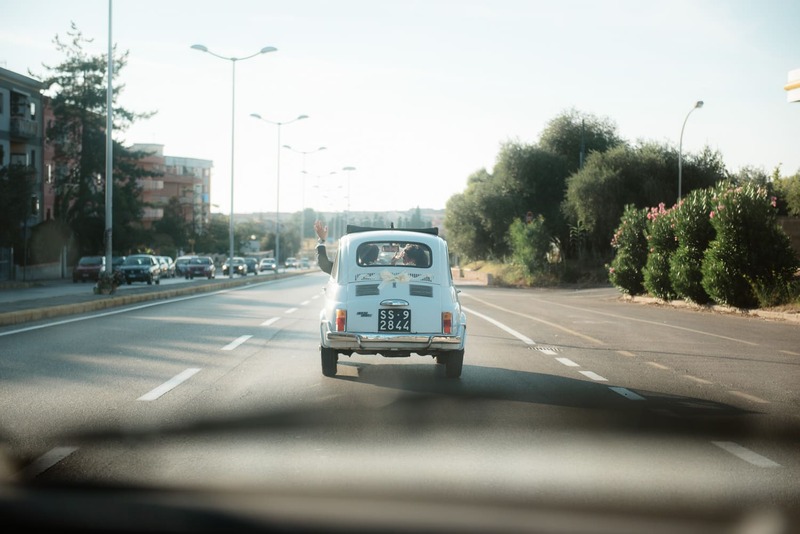 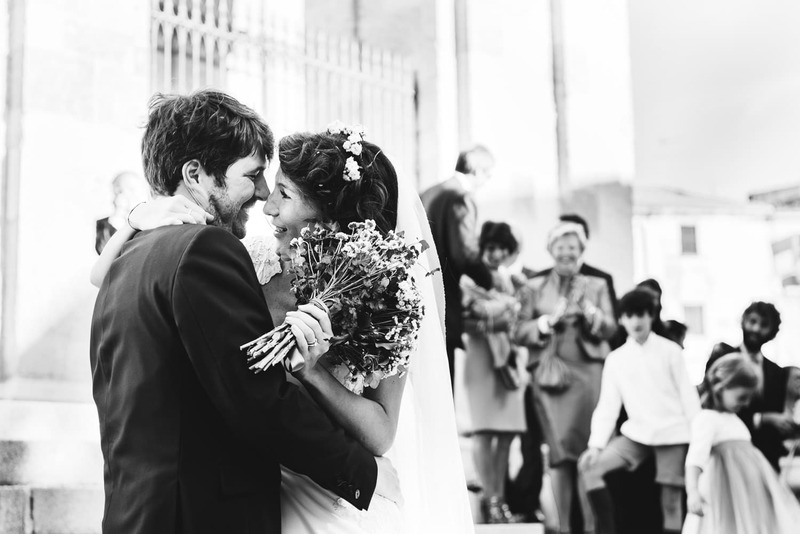 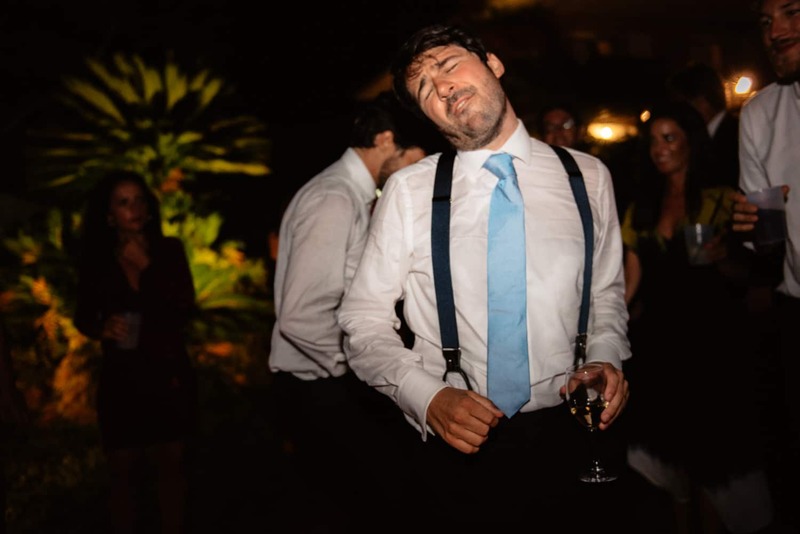 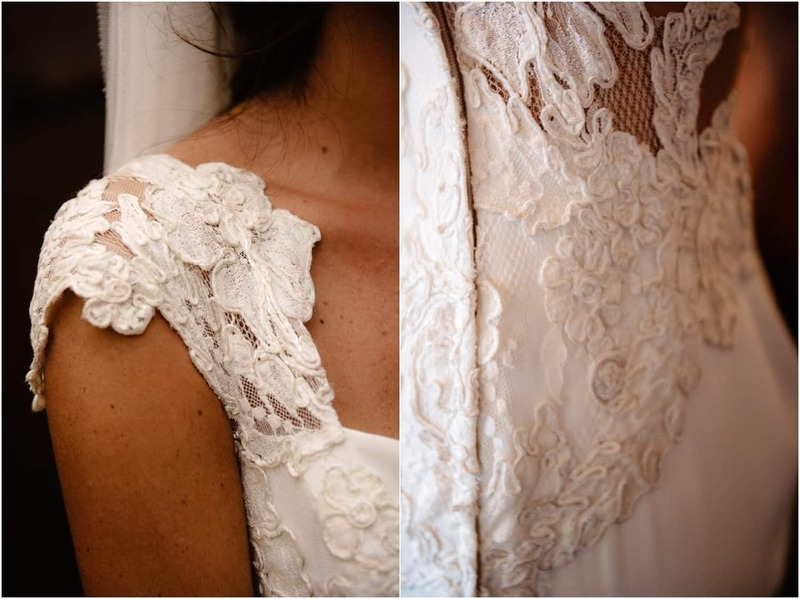 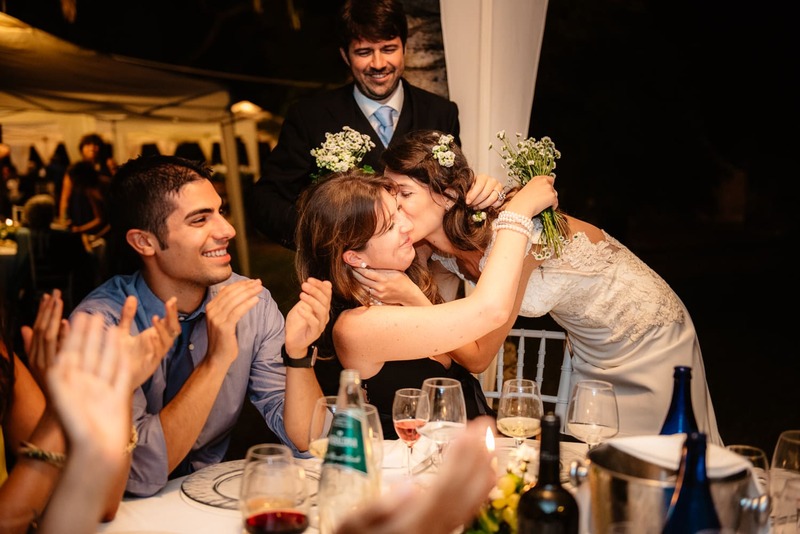 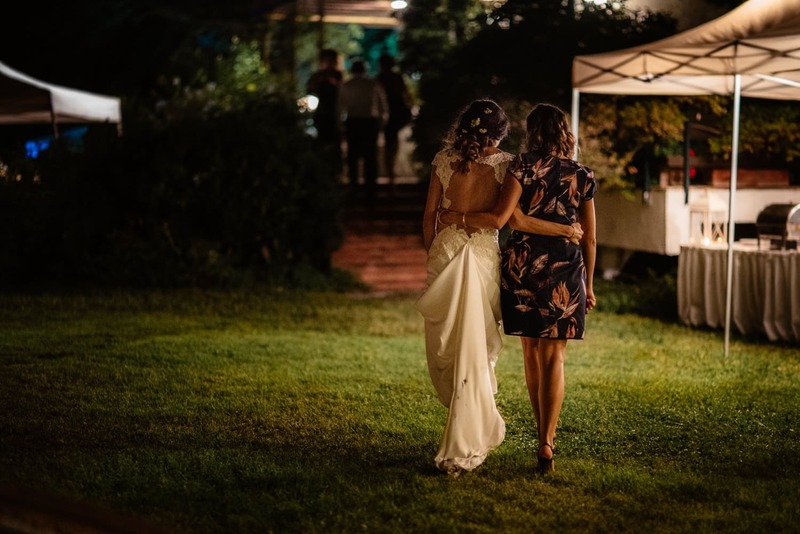 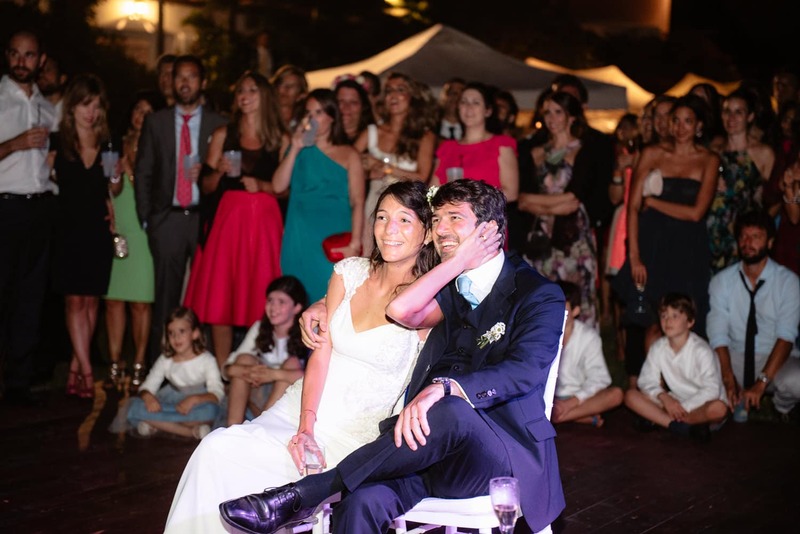 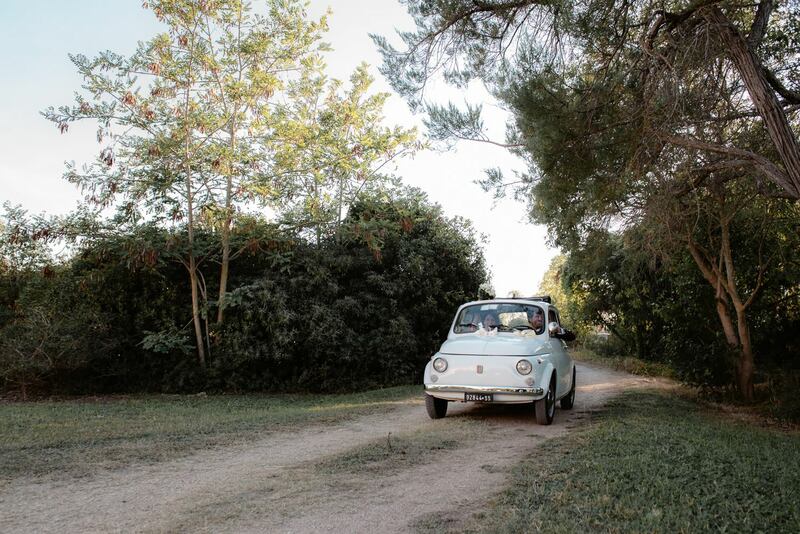 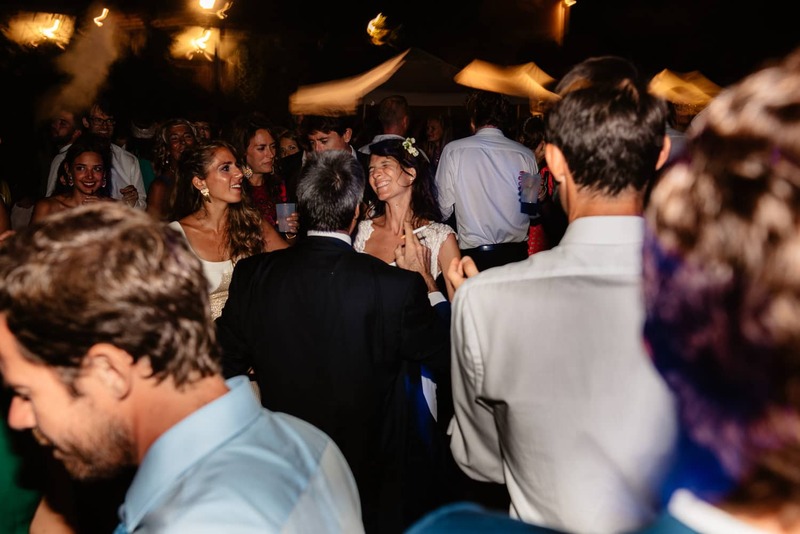 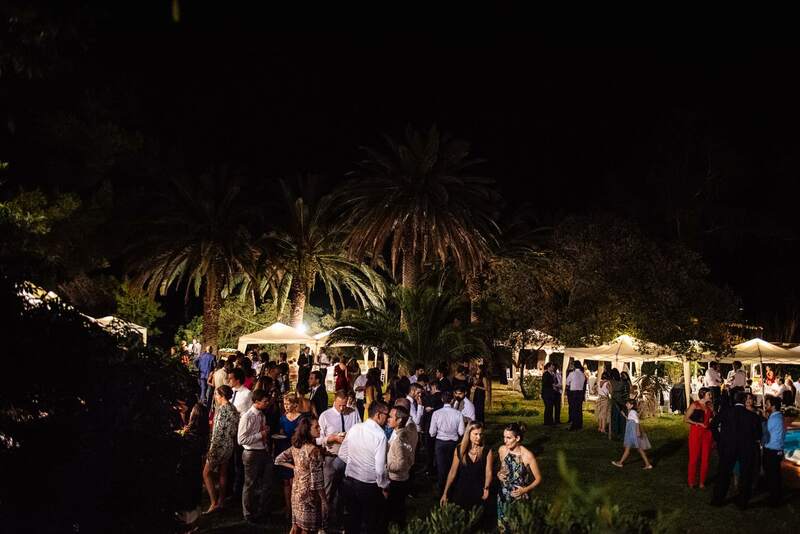 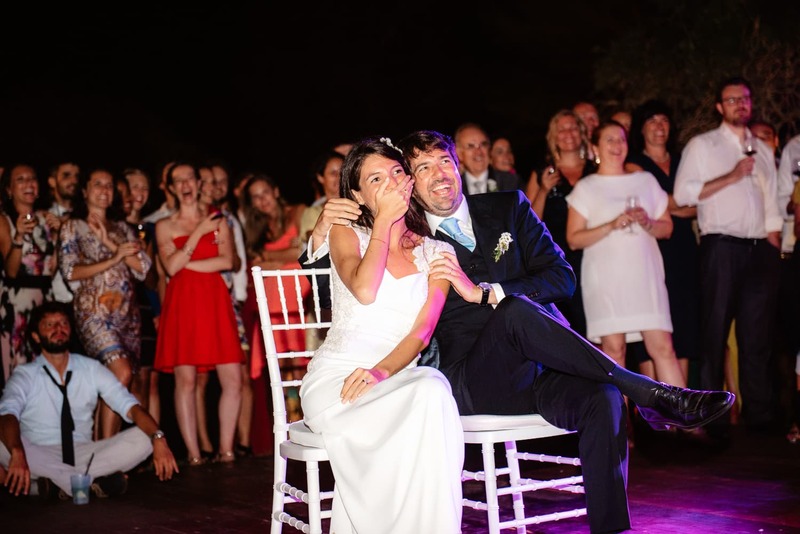 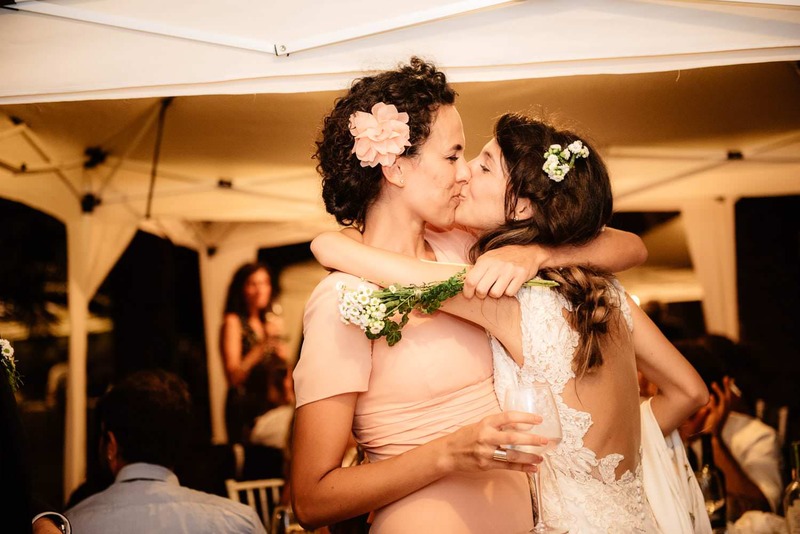 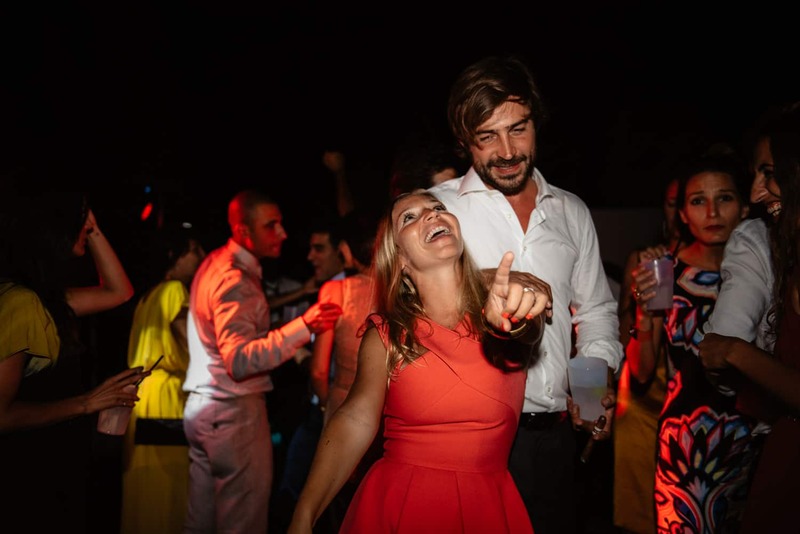 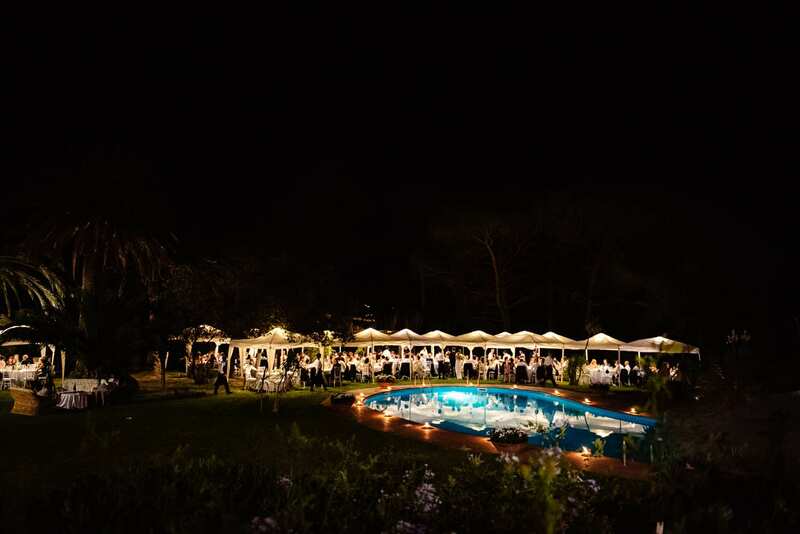 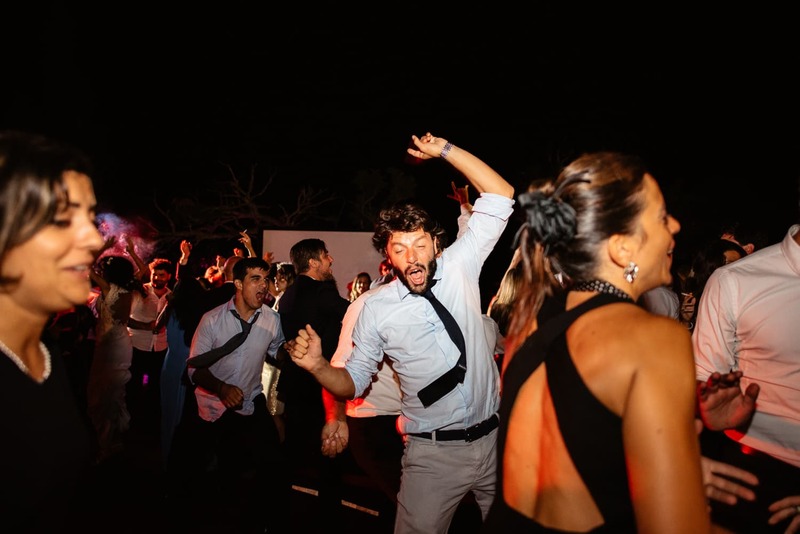 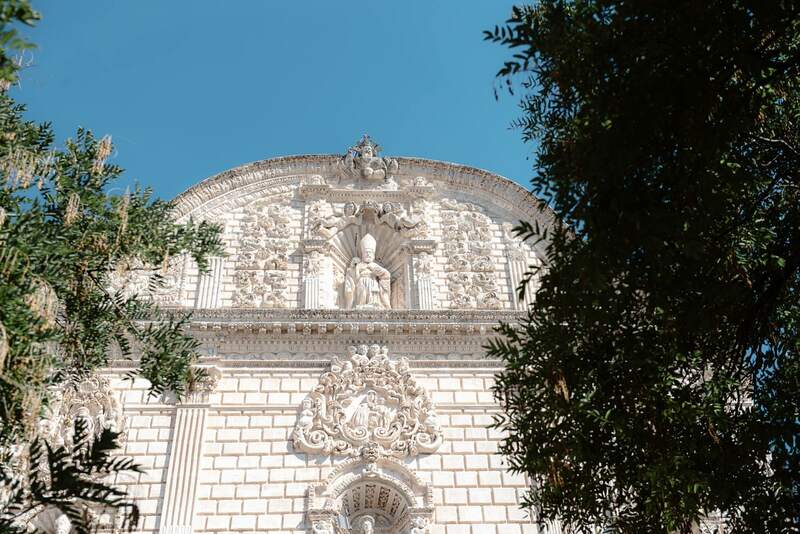 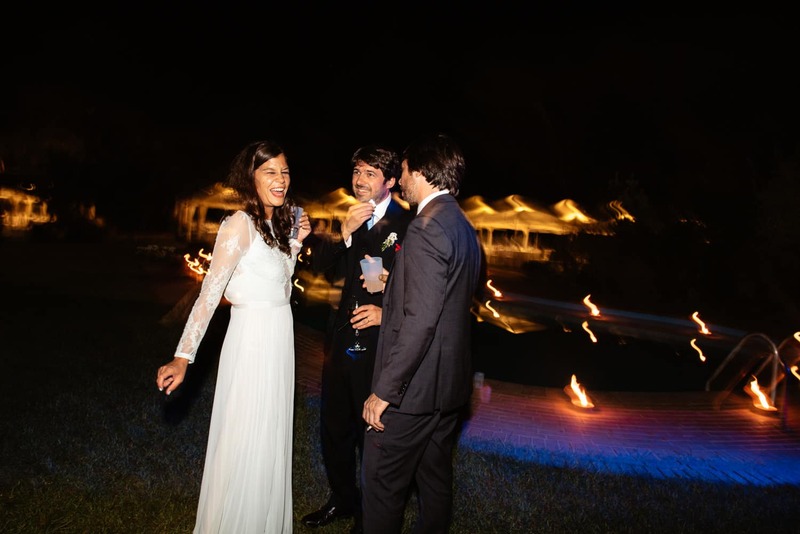 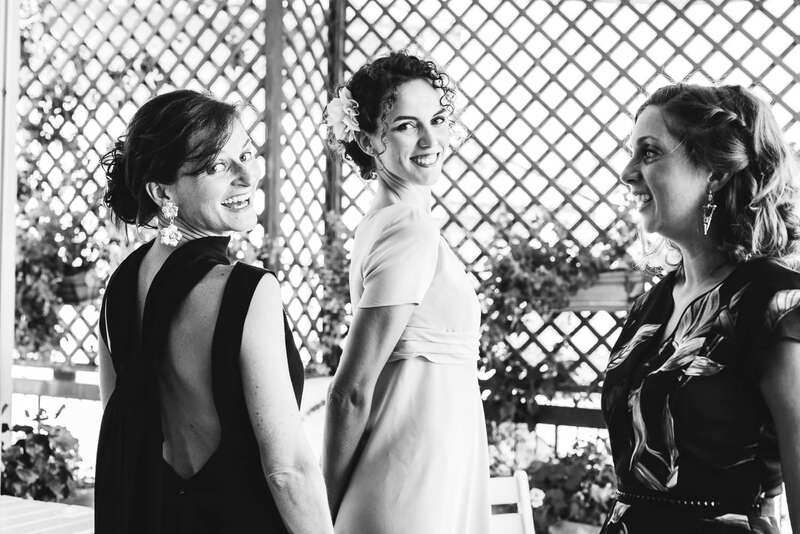 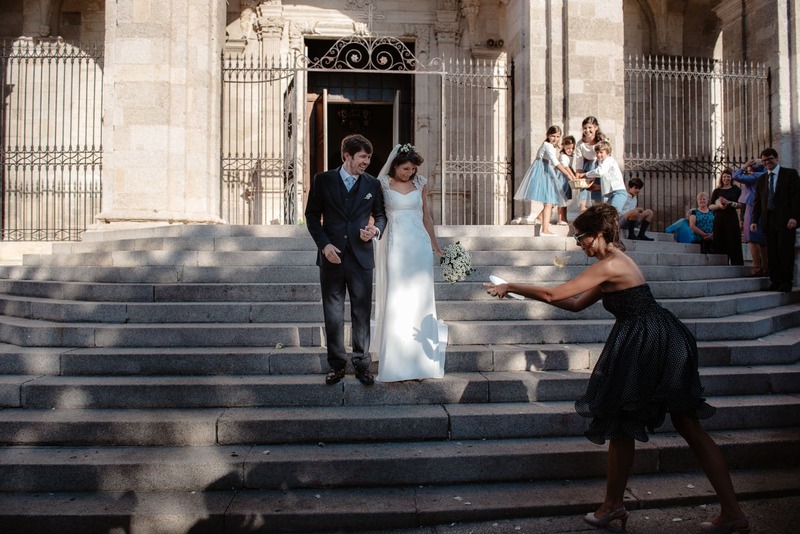 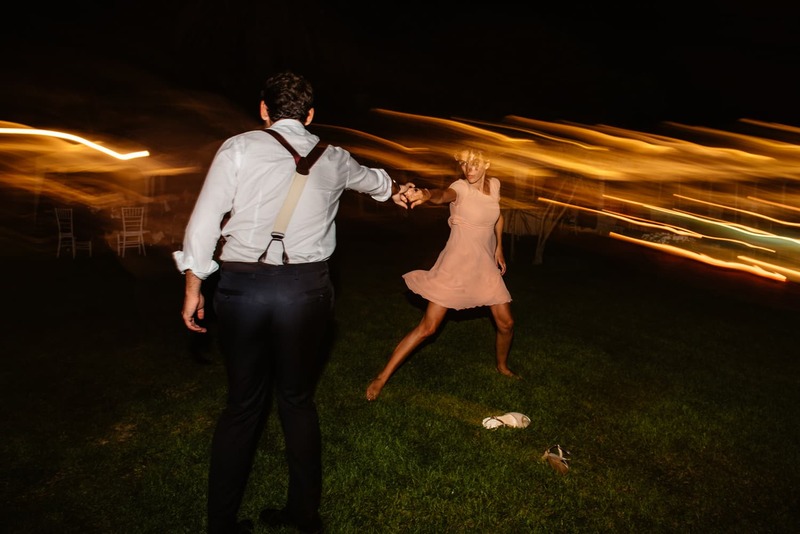 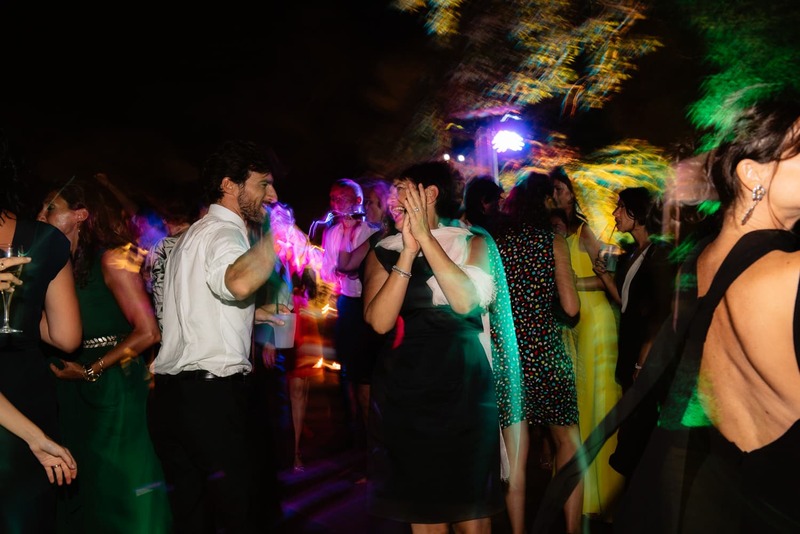 Sardinia, France and Spain, in this early September wedding in a villa near Platamona (Sassari). 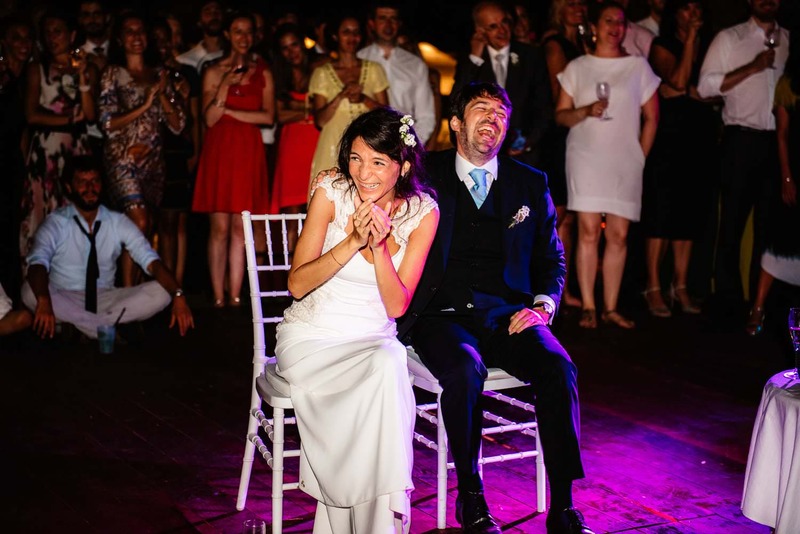 At the beginning of the Wedding, often when I arrived, looking for a cue think to start the story, opening words, an introduction. 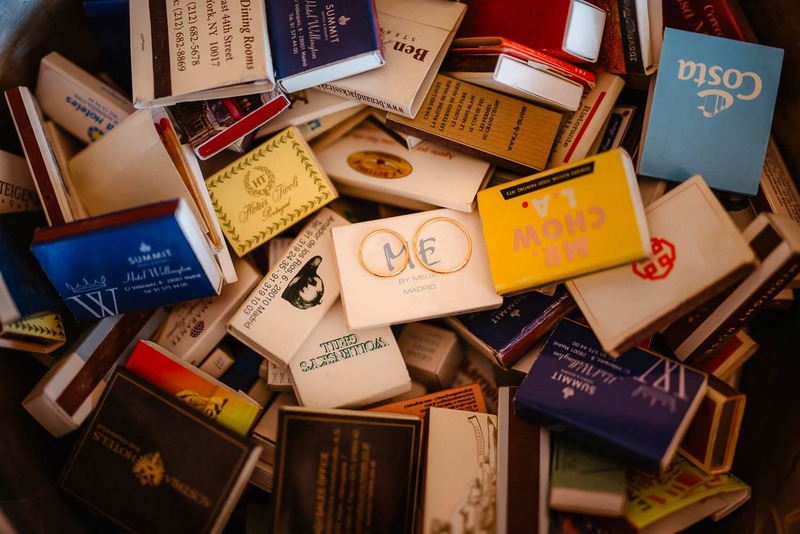 At the bride’s house, in a collection of matches, I’ll notice this little box that contains the initials of the couple and curiously, also the city where they live: the beginning I was looking for, in the midst of so many cities in so many places have meetings. 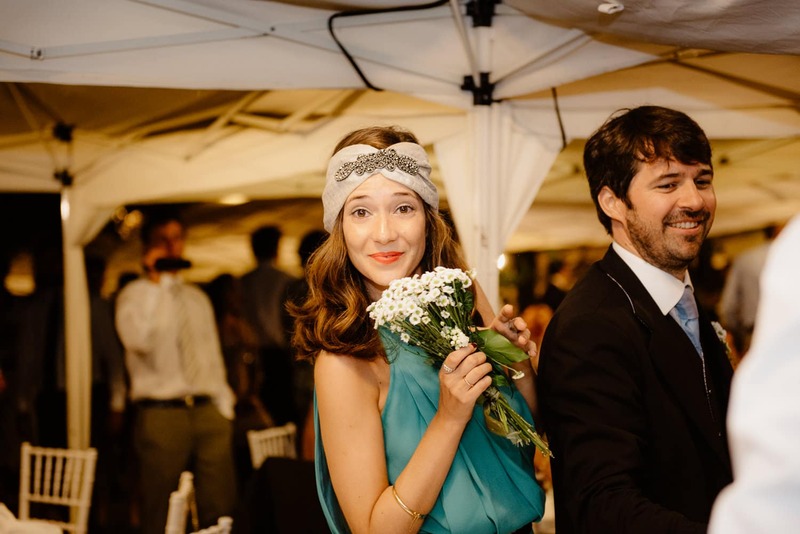 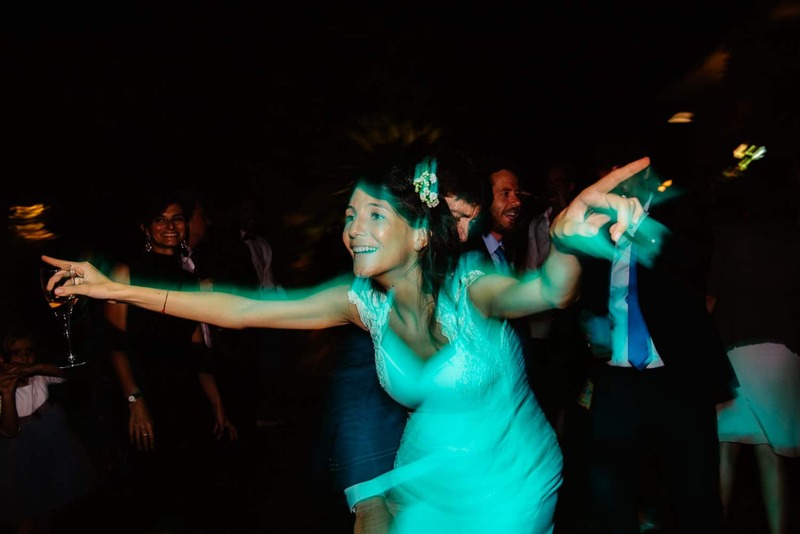 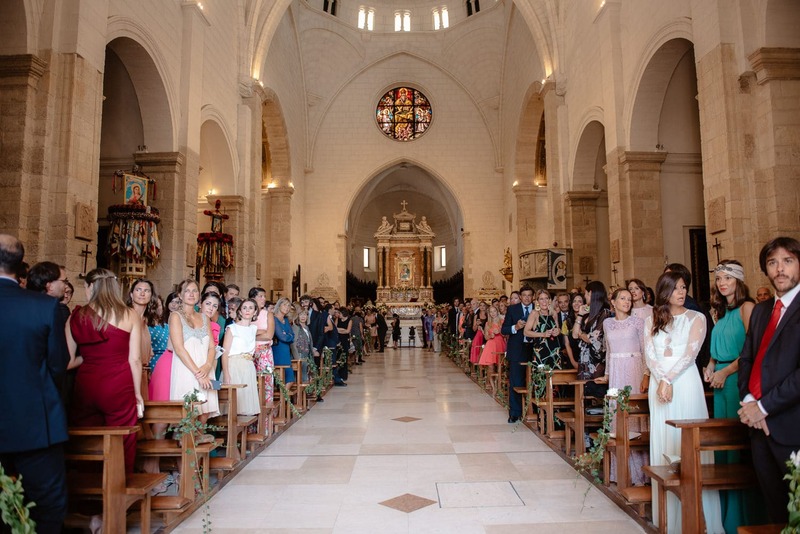 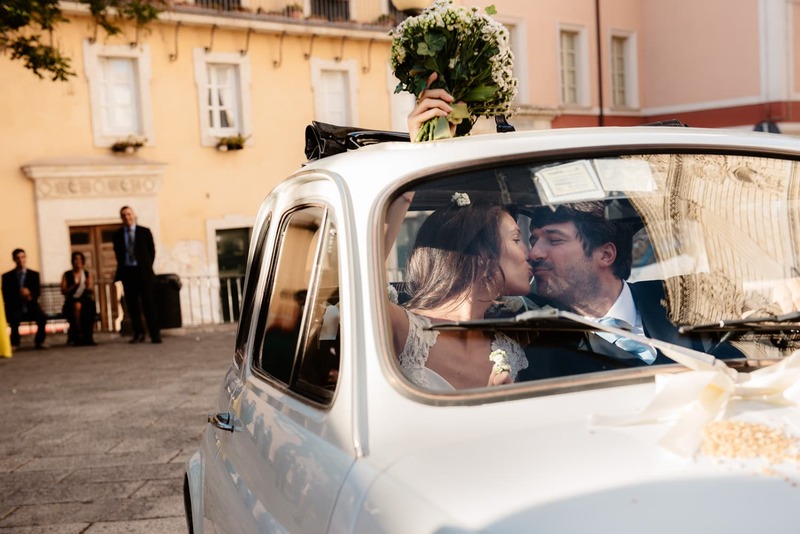 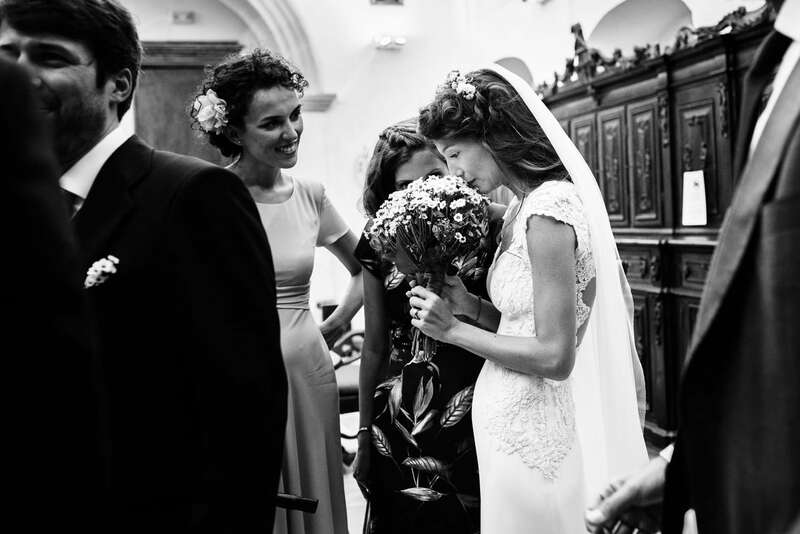 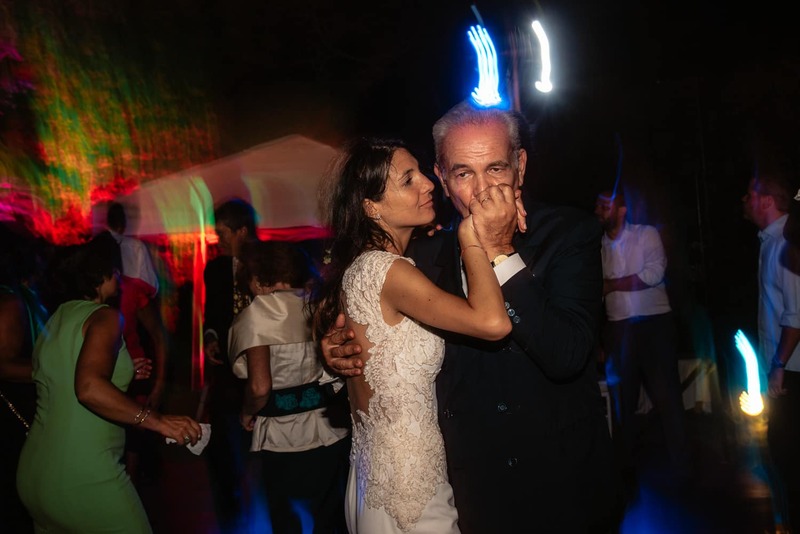 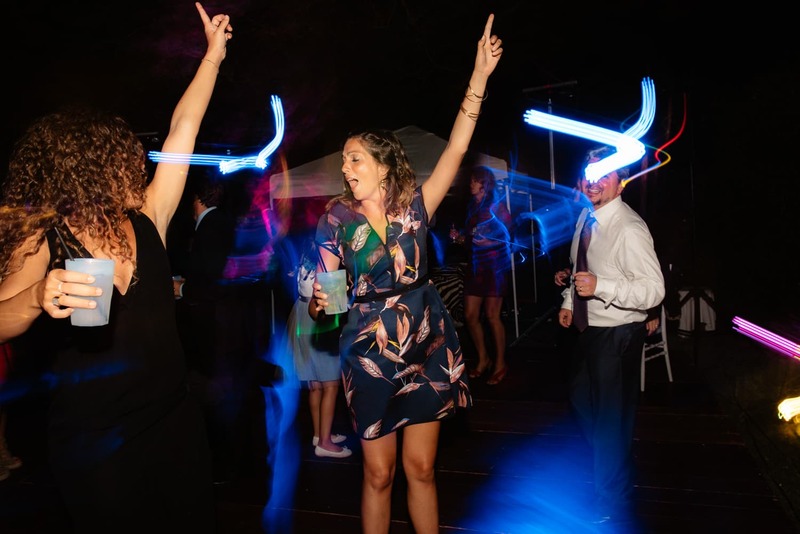 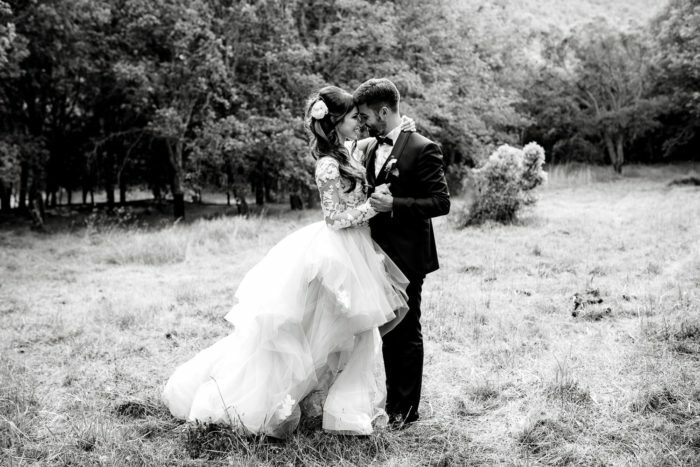 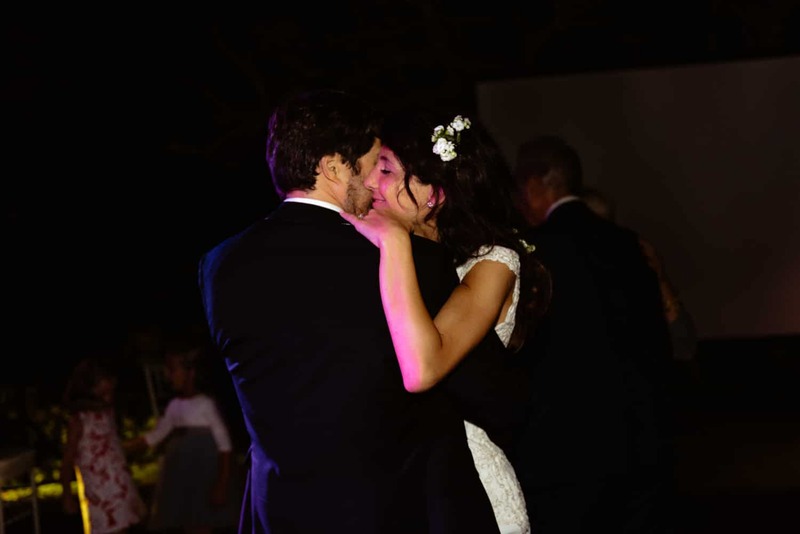 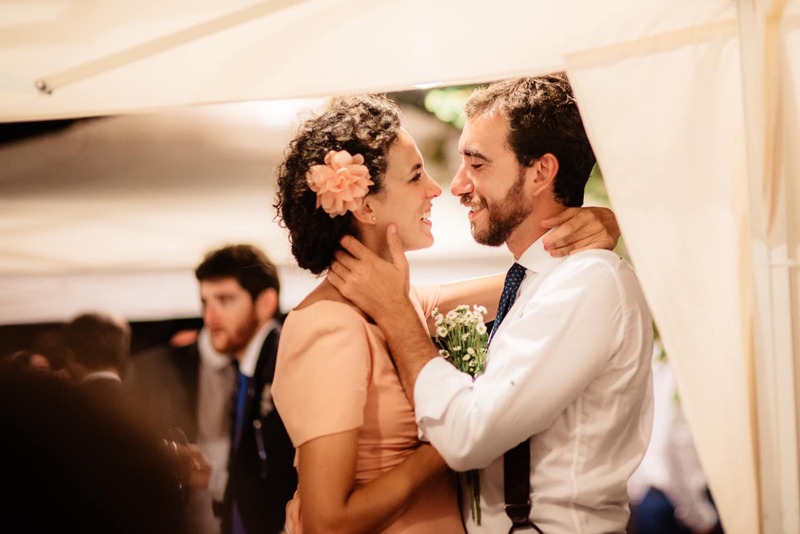 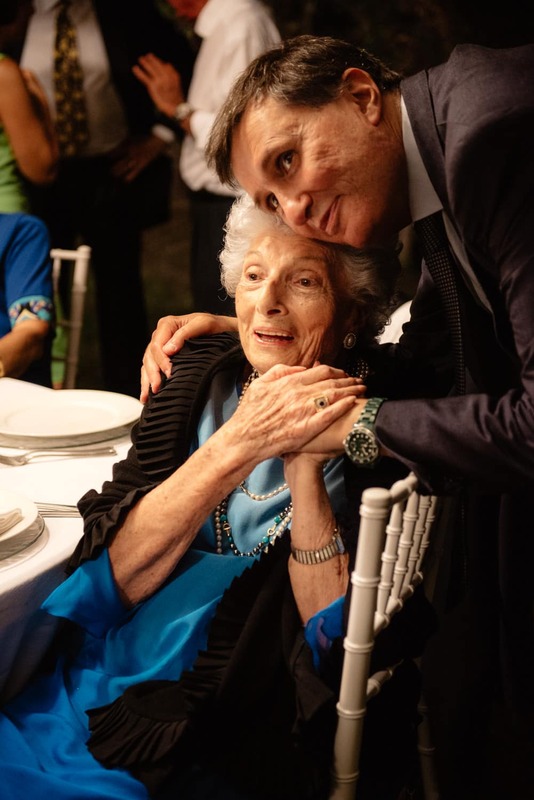 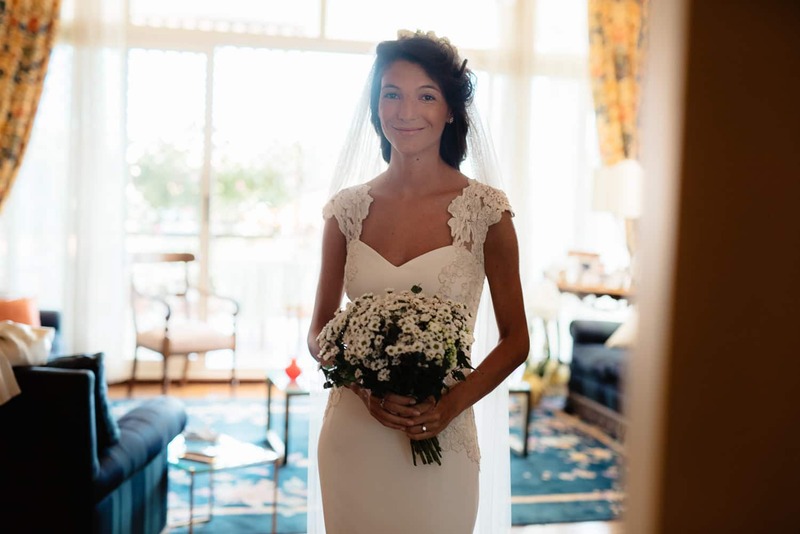 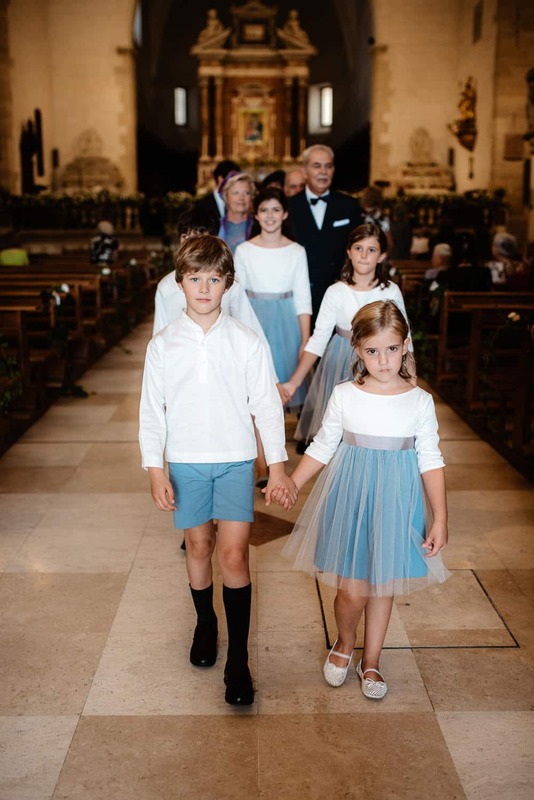 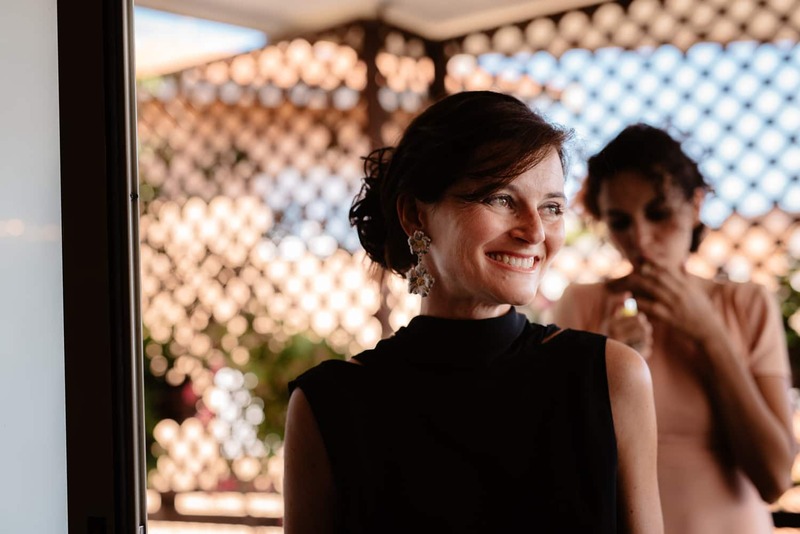 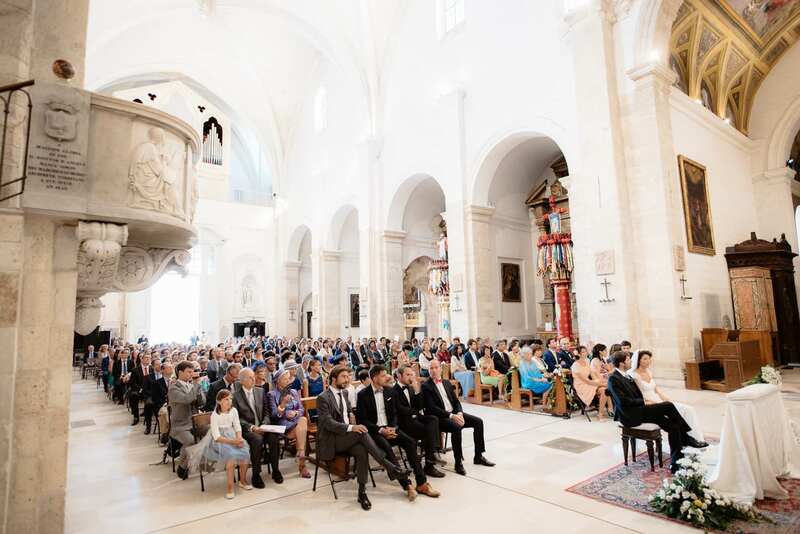 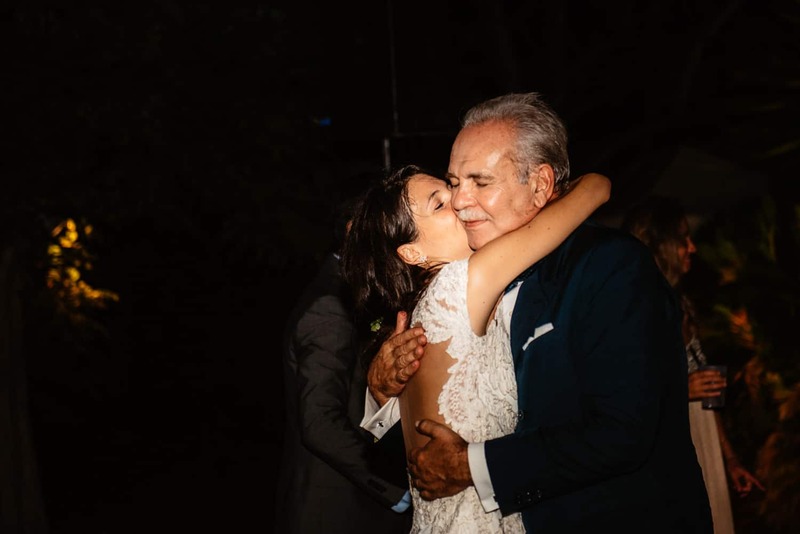 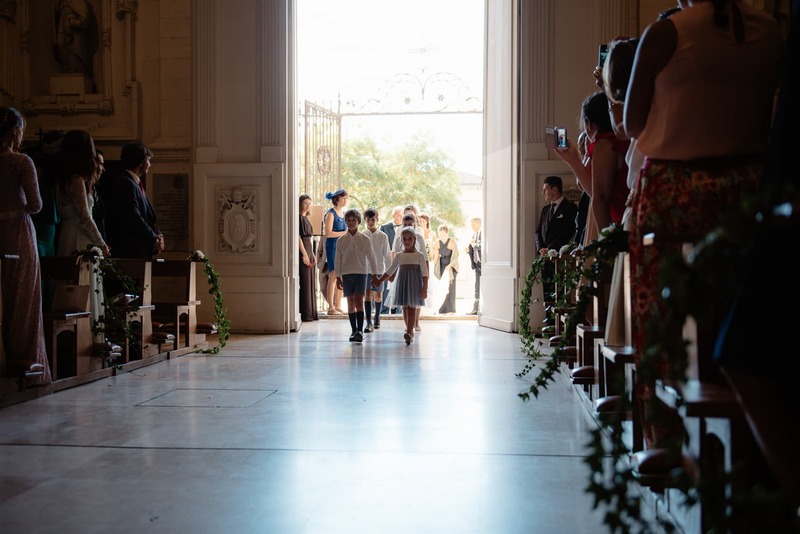 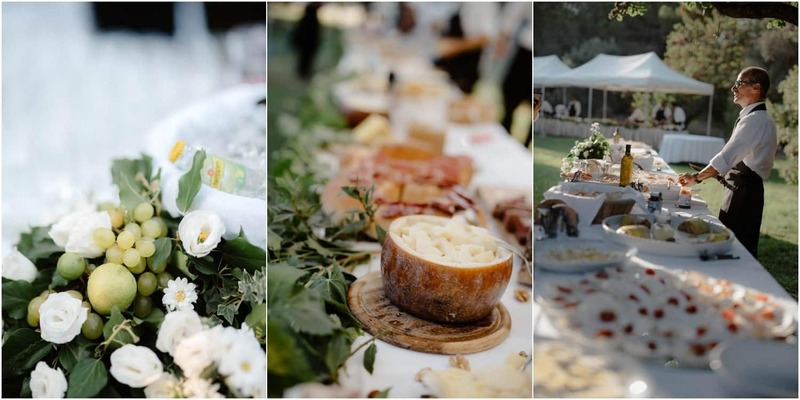 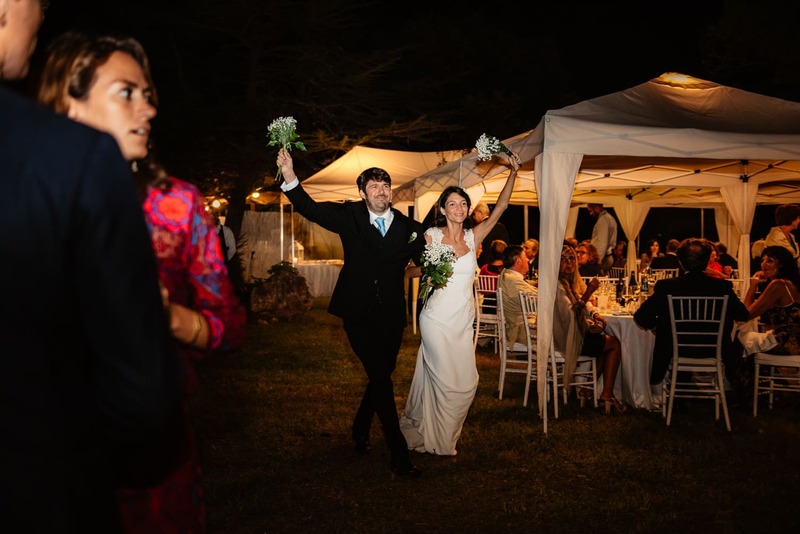 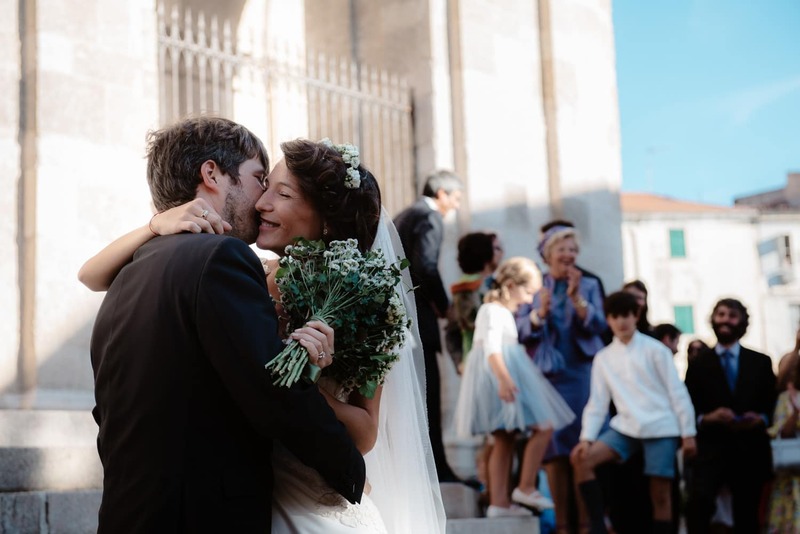 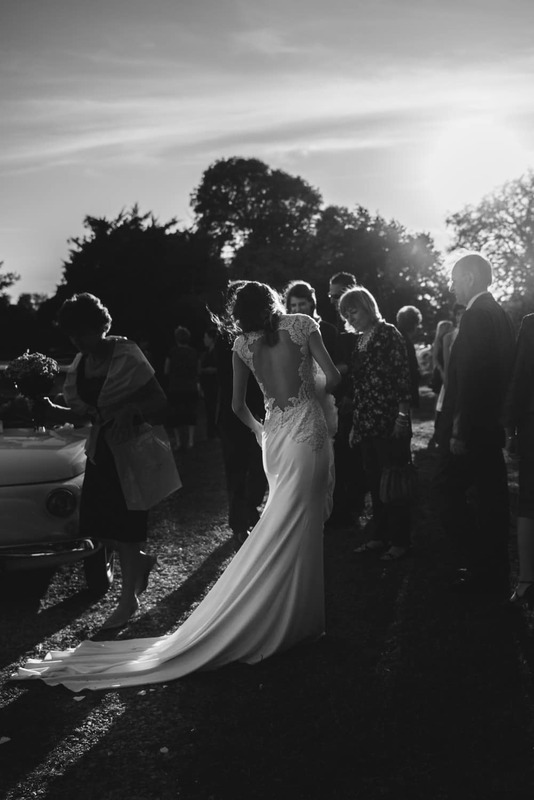 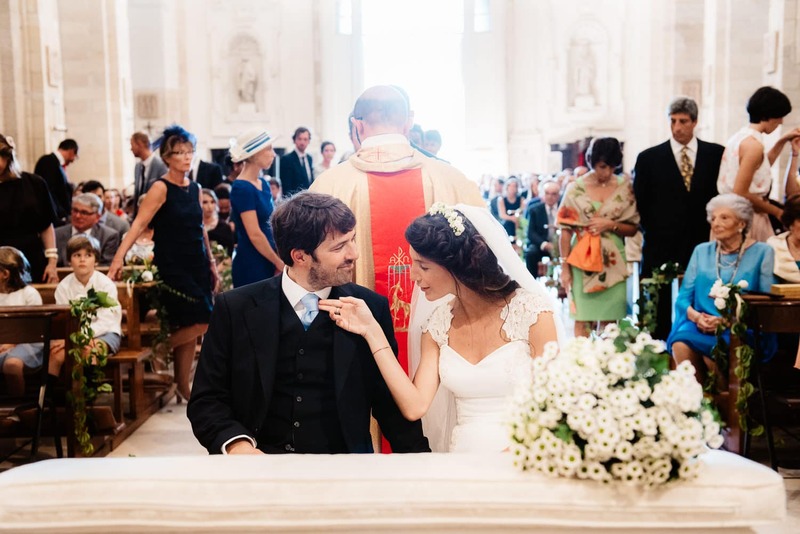 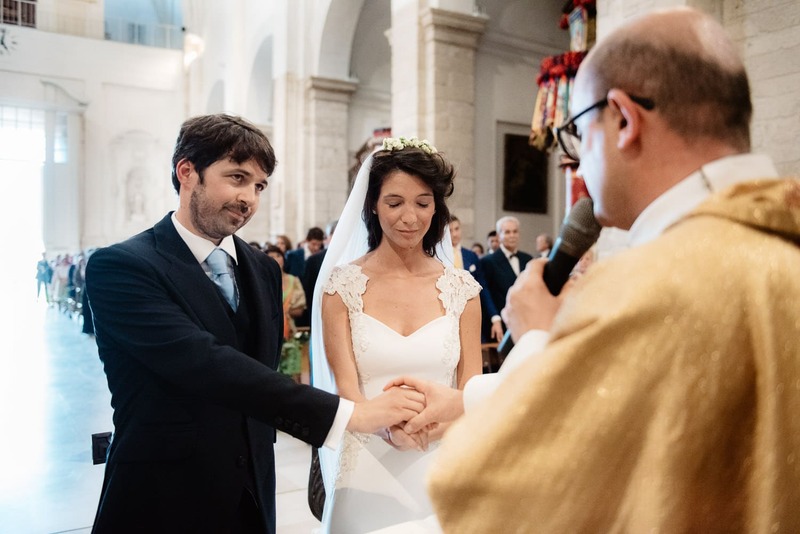 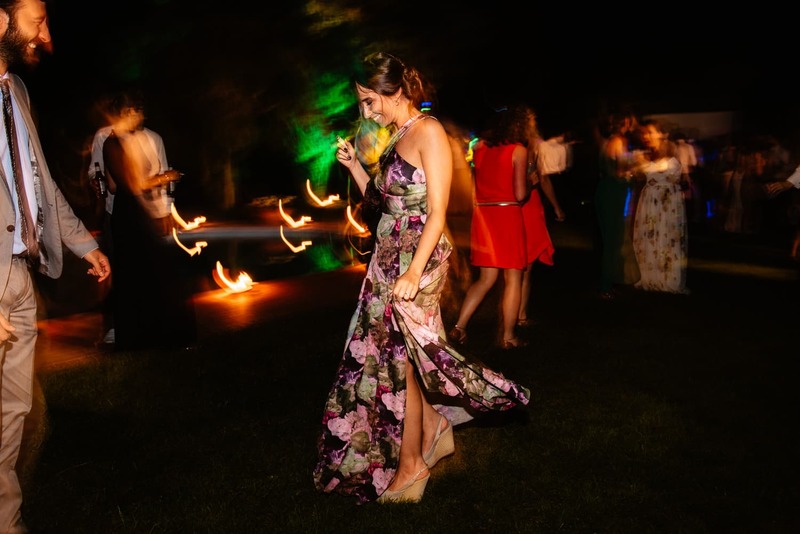 ..
She is from Sardinia, elegant, he is from French, infectious smile, a loving and beautiful couple; but above all, a wedding that is mainly a party where they mix the roots of the family home in the countryside, with French music and of Spanish wedding traditions. 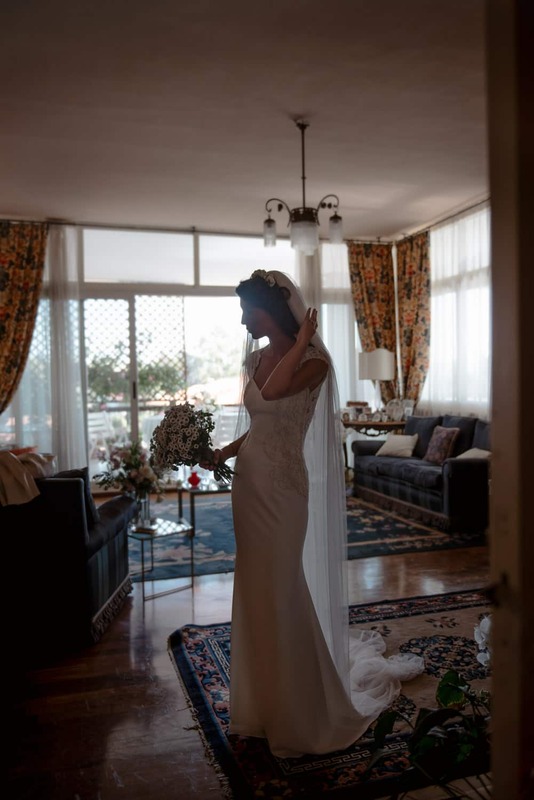 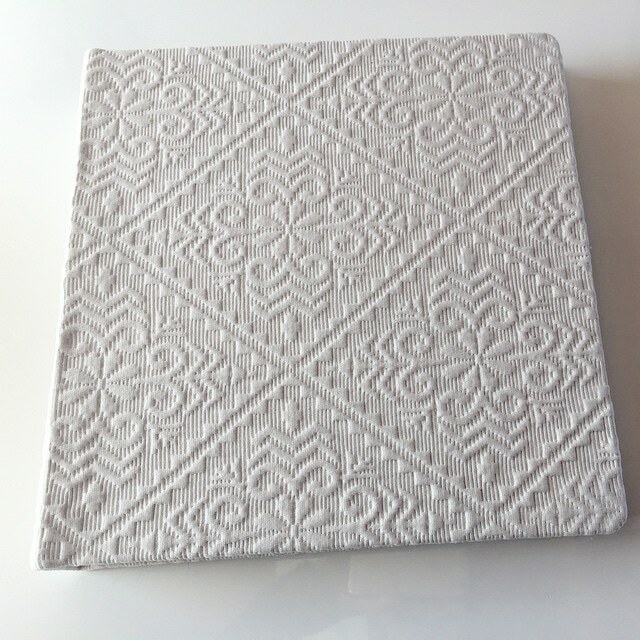 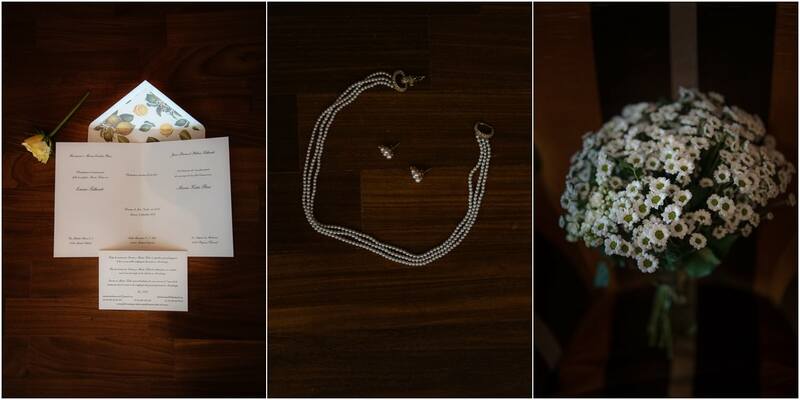 (The most original and entirely new for me, it concerns the bouquet, the bride divided into many bundles and offers to future brides friends as a wish). 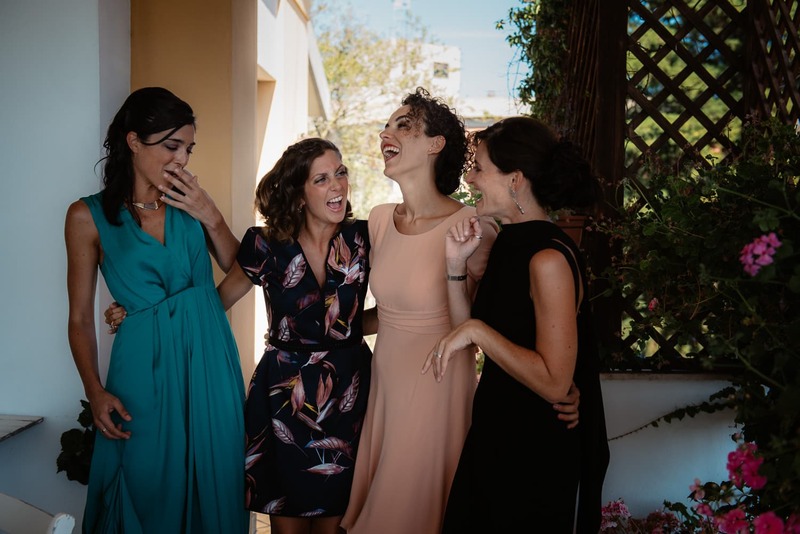 Wedding in the center of Sardinia Wedding proposal on the beach, Sardinia Album e Fotolibri con tessuti sardi Family photo sassari in sardinia, Lifestyle photography.